A lot of things have happened in our family just within the last year. We had a new baby, a NICU stay, my husband is in the middle of changing jobs and had to do a lot of traveling and training, and just a lot of go, go, go. If you know anything about our homeschool journey, then you know we have always used My Father’s World in some capacity. I had even planned to start MFW ECC this year, but somewhere along the way it took us a year and a half to finish MFW Adventures. So, instead of going into ECC this semester, I am changing homeschool curriculum mid-year and taking a break from My Father’s World. You don’t want to start a boxed curriculum mid-year. This is why we made the switch this year. If it took you longer to finish one curriculum than you planned, you may not want to start another boxed set mid-year. I have a very type A personality, so being “off schedule” really bothers me. You don’t like your curriculum. This one is plain and simple. Often we don’t know how a curriculum is going to work for our family until we try it. If it’s not working, don’t be afraid to try something else. Your child isn’t doing well with your curriculum. 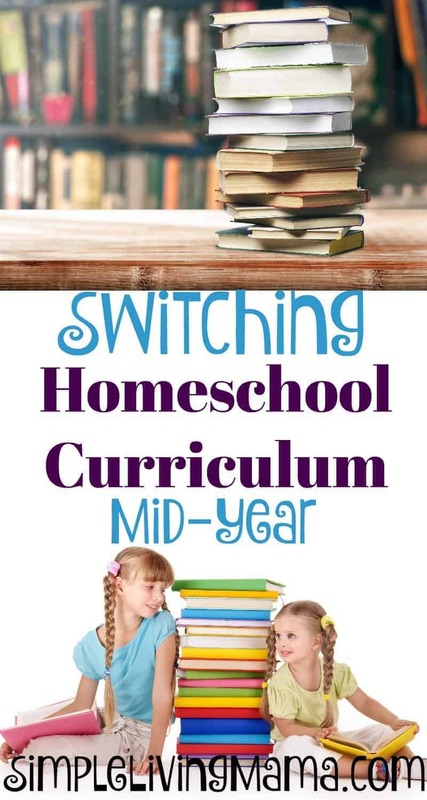 Finally, if your child just isn’t exceeding with a curriculum, switch it up. I don’t want to bring my kids to tears while homeschooling. I have the freedom to find educational materials that work for them. Let’s get to the good stuff. What are we doing this semester? For one thing, I noticed my third grader has several gaps in his reading. Reading is not something that has just “clicked” for him. I have decided to take this entire semester to just focus on the basics, reading and math, and to bring in some beauty. I found a beautiful language arts curriculum that I just love so much right now. The Good and the Beautiful really is so beautiful and rich. I have started him on Level 2, which is FREE through their website if you get the PDF version. We have done several lessons, and I just feel so good about this decision for him. In this one curriculum we are covering: reading, spelling, phonics, writing, and much more. We are still chugging along with Math Mammoth for his math. I’m spending more dedicated time with him on his lessons. It feels good not to have to rush to the next thing like I was doing before when trying to fit everything from the boxed curriculum into a day. He is working on his cursive handwriting, which he really enjoys, and I have him doing some unit studies. His latest unit study is on Thomas Edison, and he is completing a lapbook from Confessions of a Homeschooler. Probably my favorite change in our homeschool is how I’m doing morning time. Previously, our morning time consisted of our preschool learning board, some books and Bible stories of my choosing, and our history or science readings from My Father’s World. Now, I have a little more freedom in choosing what goes into our morning basket, and I’m loving it. I revisited Your Morning Basket, and have slowly started implementing a new plan. If you don’t know what I’m talking about, you will want to check out Your Morning Basket by Pam Barnhill. 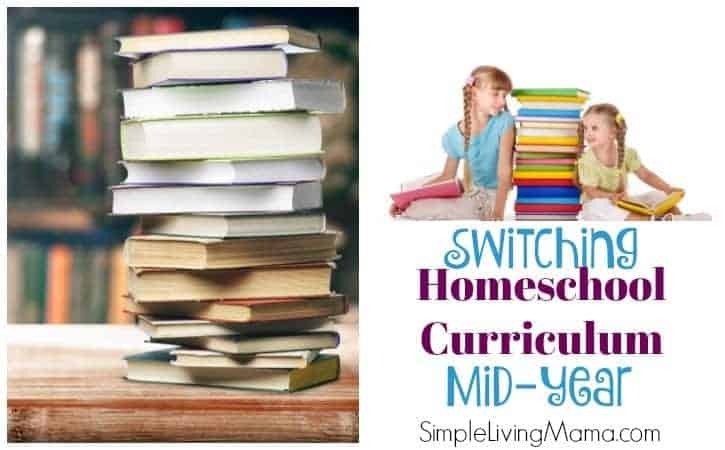 It will change your homeschool, I promise! For Bible, I am doing the kids’ AWANA verses with them. We added in Apologia Astronomy for science (which my third grader LOVES), hymn study on Thursdays, and several different pieces of memory work. We even added in chalk pastel lessons on occasion. (The chalk pastel lessons are so fun that I even do them with the kids!) It’s been a wonderful experience so far, and I’m tweaking it even more every week. 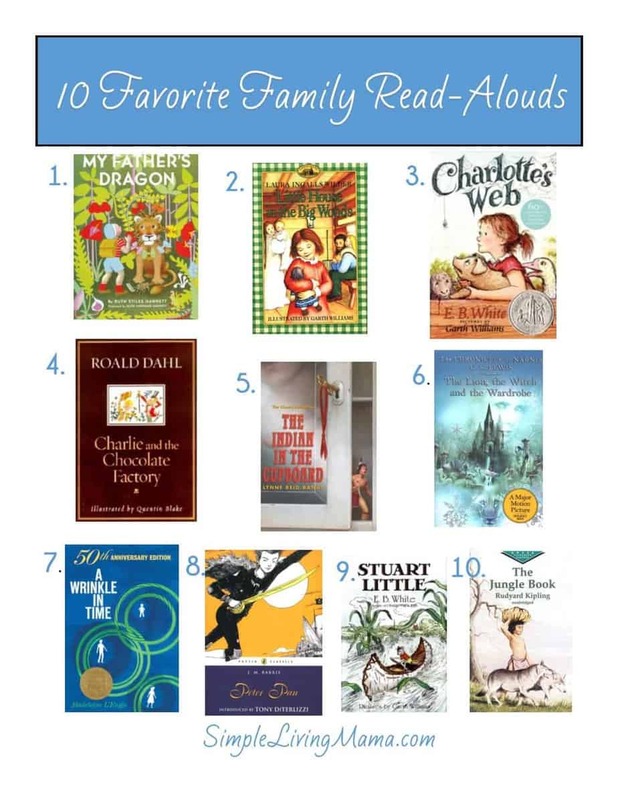 We are choosing family read-alouds that the kids are interested in and just having a good time together this semester. I’ve kept the same language arts and math curriculum for my first grader. My preschooler is still using many of the printables I have created for him, plus some lesson plans I’ve created that will be going on the blog soon! I hope to update you on our morning basket soon when I feel like we are really in a good place with everything I’ve added, but I’m honestly so excited about this change. It’s like a breath of fresh air in our homeschool! Yes!!! Never be afraid to change up your curriculum – even if you spent a lot of money on it. 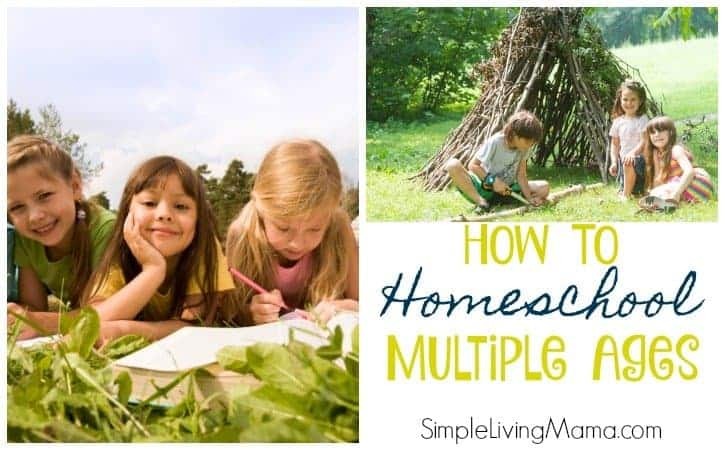 This is our 10th year of homeschooling and no two years have looked the same. I have my favorites (Apologia, Math U See/ Teaching Textbooks) but factors in our family life are also considered. Like two years ago when we moved and I birthed #6 via c-section exactly 1 month apart. I knew our curriculum needed to be something I could hand them and walk away (LifePacs worked great).